Tesla’s competition is about to get more crowded next year with many legacy automakers and luxury brands launching a record number of battery electric vehicles and plug-in hybrids. All EV makers will have one common element that could help lift demand for battery vehicles—rising oil prices leading to fuel prices at four-year highs, which could turn consumers towards EVs. 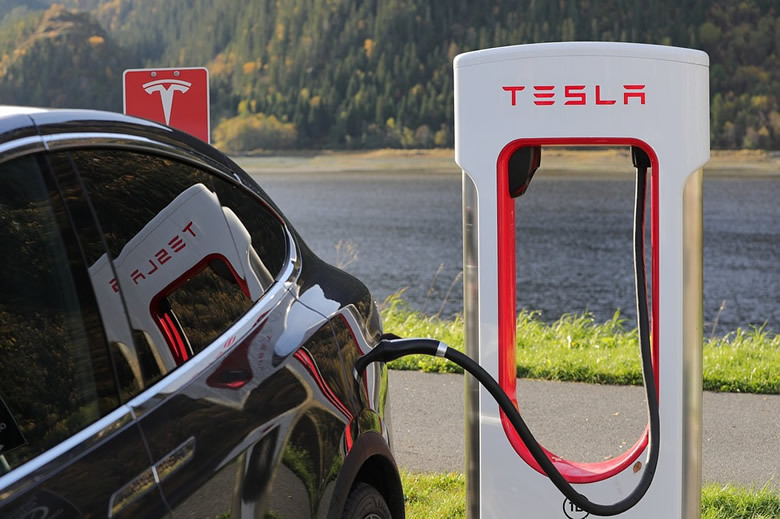 To be sure, charging infrastructure and range are still key concerns in consumers’ minds regarding EVs, but utilities and major oil firms such as Shell and BP are already looking to expand the charging infrastructure, especially in Europe. Battery pack prices have been dropping constantly this decade and are expected to continue to fall. In terms of cost comparison, some estimates point to battery pack costs becoming competitive with the internal combustion engine (ICE) cars by 2027. Rallying oil prices, with Brent Crude topping $85 a barrel this week, come just as the number of global offerings of EVs next year is expected to rise by 20 percent to 216 models, research by Bloomberg NEF shows. “The higher the price of oil the more tailwind we’re going to have behind electric cars,” Bloomberg quoted Carlos Ghosn, chairman of Renault and Nissan Motor, as saying at the Paris Motor Show this week. Next year, Nissan will launch the sale of a longer-range model of its best-selling EV Leaf. German carmakers are also jumping into the EV competition. Mercedes-Benz unveiled last month its first all-electric model Mercedes-Benz EQC, which will be launched on the market in 2019. BMW is teasing the premiere of a new concept EV, BMW Vision iNEXT. Audi has started mass production of the Audi e-tron, the brand’s first all-electric SUV, and deliveries are scheduled to begin in the spring of 2019. Ultra-luxury brands will also be offering electric vehicles. Aston Martin is building Rapide E with a target range of over 200 miles and projected top speed of 155 mph, with customer deliveries set for Q4 2019. Porsche is working on its first purely electric series, Taycan, and plans to invest more than US$6.9 billion (6 billion euro) in electromobility by 2022, doubling its initially planned expenditure. While almost every carmaker out there is unveiling or planning EV models, gasoline prices are up and even after the end of the U.S. driving season, the national gas price average as of October 1 was $2.88 – a pump price not seen since mid-July. “The last quarter of the year has kicked off with gas prices that feel more like summer than fall,” AAA spokesperson Jeanette Casselano said. High fuel prices could be part of consumers’ motivation to buy more EVs. Global cumulative EV sales are already 4 million, according to Bloomberg NEF, which notes that the time for reaching each of the million sales has been rapidly shrinking. The first million in sales, reached in Q4 2015, took around 60 months to achieve; the second million came in 17 months; the third million took 10 months; and the fourth million needed just six months. Bloomberg NEF expects the next million EVs to take just over 6 months and the five-millionth EV to be sold in March next year. The EV share of the global car fleet is still miniscule, considering that the world’s stock of cars is 1.2 billion units. But battery costs and range are less and less the stumbling blocks in EV adoption, according to Wood Mackenzie. Battery is one third of the cost of an EV today. Yet, costs have already declined by 80 percent this decade and will fall further. Battery pack prices will drop below US$200/kWh this year and then fall by around 10 percent each year, WoodMac said in July. “The critical threshold is US$100/kWh – that’s when EVs will compete on commercial terms with ICE vehicles. We think we’ll get there by 2027,” WoodMac says. EVs will displace around 5 million bpd to 6 million bpd of oil demand by 2040—some 5 percent of total oil demand, the consultancy has estimated. ICE cars are not going anywhere in the next decade or two, but the higher the price of oil, the more competition they’ll have from EVs and the more incentives consumers will get to pick an EV for their next new car.